Have you ever heard someone say, “I am into Jesus, but not the church”? Or, put another way, “I am a Christian, but I do not believe in going to church”? Over my years as a pastor, I have encountered phrases like these many times. Yet, what I intuitively knew then, and have come to understand more fully now, is that Christianity is inextricably linked to the local church. In fact, the local church is the New Testament’s expression of Christianity. The New Testament depicts the Christian and the local church together, like hand in glove. However, as I continue to serve the church more broadly now as a seminary president, I consistently bump into common misconceptions about the purpose of the local church, the role that believers should play in it, and how it fits in with Scripture—misconceptions that keep well-meaning believers from the benefits of membership with a local church. First, and most common in evangelical circles, is spiritual individualism. This extreme so prioritizes a personal relationship with Christ that it forgets the role of the church. Conversion is a personal encounter with Christ and growth in Christ is fundamentally the same thing. One is nourished spiritually through books, conferences, podcasts, para-church ministries, and Bible studies. The other extreme is an institutional approach to Christianity. In its most unhealthy form, it is seen in traditional Roman Catholicism that holds “no salvation outside the church,” and necessitates receiving the sacraments for salvation. Both of these extremes miscommunicate the Christian life. Conversion is an individual experience that is intended to become a congregational reality. Here is the point: when you were saved, you were saved into the church. When you were baptized, you were baptized into the church. When you believed the gospel, Jesus did not only rescue you; he transplanted you into the church. Another common misconception concerns the church universal and the church local. The church universal refers to all the redeemed, globally. The church universal also refers to the invisible church because we ultimately are not able to know who or how many comprise it. Yet, most every reference in the New Testament is about the church local. By local church, I mean a group of Christians who are a part of a collective, covenant group, who meet together for worship and ministry. When you survey the New Testament you see it is all about the church. In Matthew 16, Jesus declared, “I will build my church, and the gates of Hades will not overpower it” (Matt. 16:18). Jesus fulfilled this promise through his own death, having shed his blood for the church (see Acts 20:28). The book of Acts begins with the birth of the church through Peter’s preaching at Pentecost. The storyline of Acts is the church metastasizing, spreading throughout the Mediterranean region—and beyond—through the apostles’ preaching. The New Testament epistles were all written to or about churches. In them, the authors explain what churches are to believe and teach, and how they are to minister and organize themselves. At the end of the New Testament—the book of Revelation—the apostle John records Jesus’ seven letters to seven churches and punctuates the Bible’s conclusion with Jesus’ dramatic return for his bride, the church. In fact, Jesus likens the church to himself. In Acts 9, the apostle Paul—also known as Saul—had a dramatic encounter with Jesus. Paul was no yet a Christian, and Jesus confronted him while he was on his way to persecute Christians. Jesus asked, “Saul, Saul, why are you persecuting me?” (v. 4). 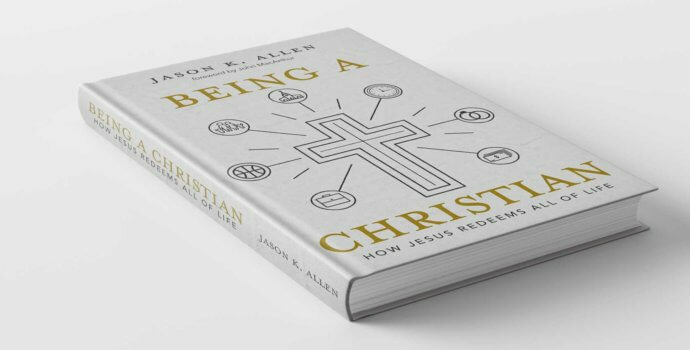 Effectively, Jesus equated the church with himself; how one views, engages, and treats the church reflects how one views, engages, and treats Jesus. The New Testament makes following Christ and local church participation essentially synonymous. So what’s holding you back from investing in or joining a local church? It’s important to understand that there is no perfect church. That is because the church is comprised of sinners—redeemed sinners. So don’t let the imperfections of fellow believers turn you into a perennial church shopper and keep you from the benefits, fellowship, and mission opportunities that the local church offers.